Scot MacDonald and Caroline McMillen at the launch of the hub. Image via Twitter. A new defence, security and aerospace hub developed by a NSW university, with support from the NSW government, has opened at Williamtown. Parliamentary secretary for the Hunter Scot MacDonald opened the University of Newcastle's hub, named DSA-18, which will support research and development of innovative technologies to bolster the region's industries. "The Hunter is already a NSW stronghold for defence but today’s launch of this impressive new facility will see that take off even further," MacDonald said. "The DSA-18 Hub has been developed by the University of Newcastle with funding support from the NSW government’s Boosting Business Innovation Program. “The Boost program is providing $18 million to the state’s universities – including $1.5 million to the University of Newcastle – to work with businesses to drive innovation." MacDonald said the hub's location at the Williamtown Aerospace Centre will allow greater collaboration between SMEs and leading defence primes. “The University of Newcastle is conducting exciting research in a range of areas relevant to the defence, security and aerospace sectors, and the DSA-18 Hub with its 18 seats will allow academics to work directly with business and industry," he said. "The hub’s strategic location at Williamtown Aerospace Centre will allow it to work alongside leading industry names like Raytheon Australia, Lockheed Martin Australia and Boeing, as well as cutting-edge smaller businesses and start-ups. "The Hunter region’s defence sector employs more than 4,600 people and contributes $1.3 billion to the region’s economy, but the DSA-18 hub will provide new impetus for innovation-led growth." 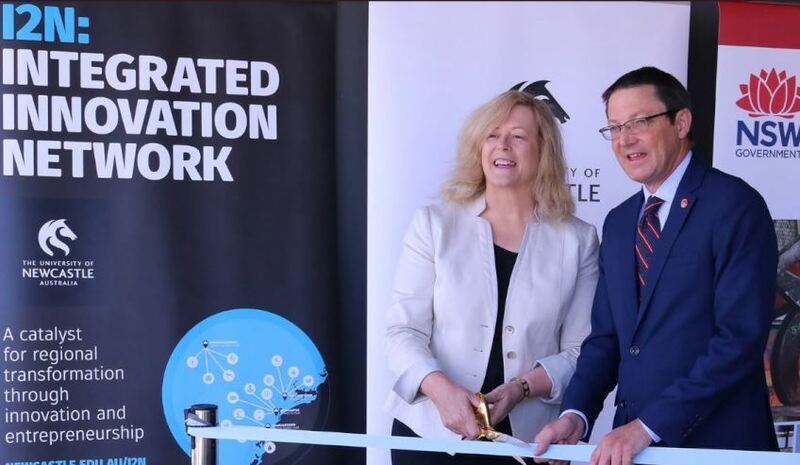 University of Newcastle vice-chancellor Professor Caroline McMillen said the DSA-18 Hub would provide an important platform to build on the university's strong research performance and global reputation in defence, security and aerospace. "Around the world we have seen that the best innovation ecosystems are those where new industries, jobs and opportunities are created when research, business, government and community forge strong alliances,” Professor McMillen said. "With UON’s expertise in interdisciplinary fields such as visual simulation, robotics, biometrics, cognition modelling, frontier energy technologies, navigation systems, disaster preparedness and recovery, cyber security and advanced sensor platforms, the DSA-18 Hub will provide a capability boost to the growing cluster of businesses and defence-related activities at Williamtown." DSA-18 Hub is one of four innovation hubs in the Hunter, which together comprise the Integrated Innovation Network (I2N) – a University of Newcastle initiative established in 2016 and partially funded with the support of a $1.5 million NSW government Boosting Business Innovation Program grant. Building on the suite of existing I2N activities and capability-building programs, the DSA-18 Hub will host workshops and events designed to promote engagement between researchers, students, SMEs, prime industries and the Australian Defence Force. More information about the Boosting Business Innovation Program can be found here.